If you had a job where you were successful less than 1% of the time, on average, you might get a little depressed. That's what happens to your shopping cart if you don't give it the right tools. Guiding those customers through the buying cycle with targeted content only to see them walk away when the time comes to buy can be frustrating and disheartening. Before you get discouraged, consider a few facts. First, 99% of first-time site visitors will not make a purchase. This staggering number is tempered by the fact that 75% of those visitors who abandon their carts do actually intend to buy. Don’t be one of the 81% of ecommerce companies who believe those customers to be wasting your time. You can still recover the sales if you’re willing to communicate in a meaningful way with the customer. 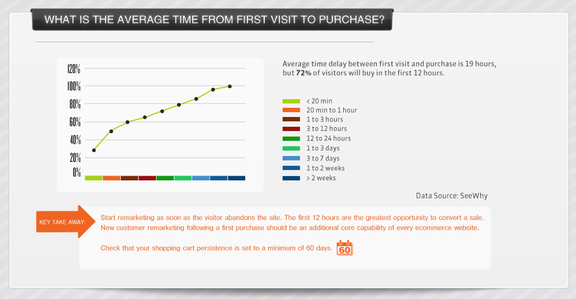 Statistics show that, while numbers can vary between industries, the overall rate of cart abandonment is 73.9%. 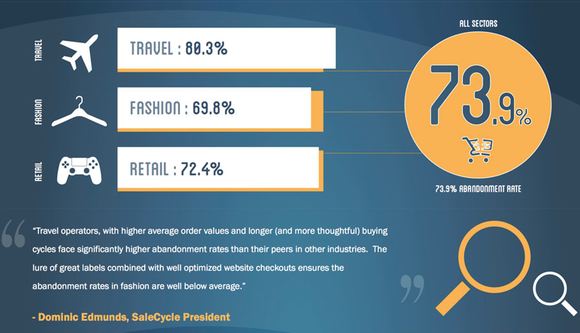 The reasons for abandonment also vary, with travel sites experiencing the highest rate due to higher average order values and more disruptive impact on consumers' lives (getting on an airplane = more impact on my life than buying a new chair). These cart abandoners may be first-time visitors or repeat customers, so you can’t approach them all the same way. We have a few tips to help you craft those recovery emails so you can turn abandoned carts into wads of cash. 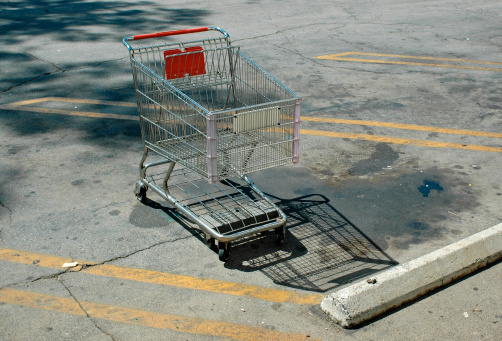 According to recent studies, of those who do buy after abandoning their carts, 72% do so within 24 hours. Your email marketing should work in keeping with this statistic. The same study also shows that, of those who purchased after abandoning a cart, 95% took up to two weeks after abandoning before they finally completed their purchase. You can’t simply send one email and forget it. 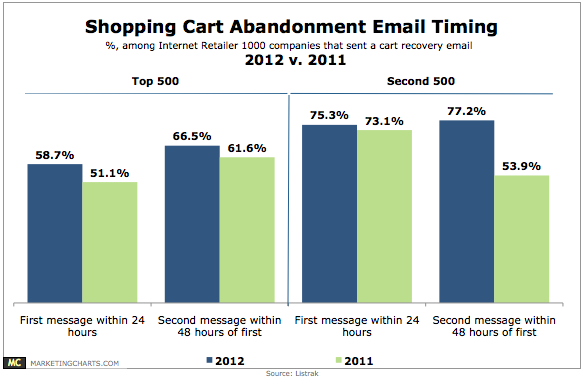 This study shows that 75.3% of the top 500 ecommerce companies using abandoned cart nurturing are already sending recovery emails within an hour of cart abandonment. They have discovered that 50% of those who buy do so within an hour of abandoning their carts. Timing is everything. Consider setting up emails for one hour, 24 hours, and less than two weeks after cart abandonment (depending on the average behaviors of your buyers). Within this time, buyers who had good reasons for abandoning their carts may uncover the information they need to make a final decision. You may also consider another email after six weeks, and a final email after two months. Depending on the average buying cycle of your products, you may want to stay engaged with a cart abandoner for much longer than you'd think. If someone searched for a winter coat, set one in their shopping cart, and then abandoned to seek out other designs, there’s a good chance they don’t remember the exact coat they found on your site. It’s possible, isn’t it, that they ended up on so many different sites that they got overwhelmed and gave up the search. All the while, their favorites are still hanging around in your shopping cart, just waiting to be retrieved. In fact, 74% of consumers state that they get "frustrated" when content in your marketing appears to have nothing to do with their interests. When you send an email with an image of the coat in question, buyers can immediately recognize the near-purchase and finish the job. 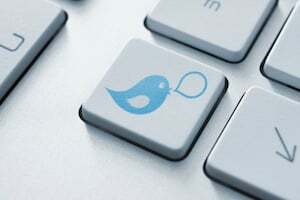 You can also include some reviews from other customers on that particular product, ratings, images of similar coats, and suggestions for matching accessories. 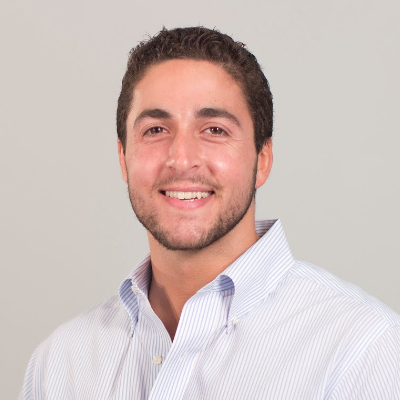 Just be sure to also include a call-to-action that leads the buyer back to their original cart. If they have to start from scratch, they may run again. 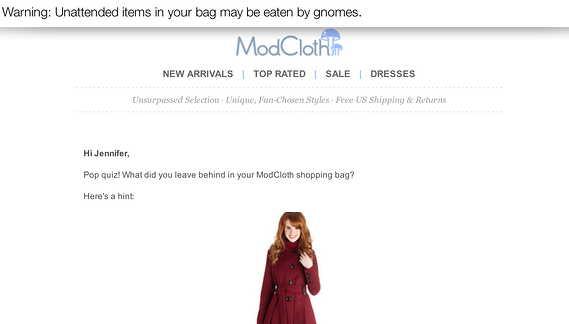 I'm also a big fan of how this email aligns with the whimsical psychographic dimensions of their target buyer persona. While you don’t want to start the habit of offering discounts to everyone who abandons a shopping cart, you could save this particular offer for some of your loyal customers or those who have already received a service-oriented abandoned cart email. Those who’ve made purchases before may be more inclined to finish their most recent shopping excursion if they have a chance to save 10%. Other offers could also entice the runners to come back. You could give free membership to a loyalty program, offer points for your loyalty programs, matching items for a friend, etc. The possibilities are endless. Just use them sparingly, as you don’t want your customers to expect a discount every time they abandon their carts or cause buyers who weren't price sensitive before to become so by framing your entire nurturing sequence around discounts. Your buyers want that added bit of security that comes with buying online. Make sure your satisfaction guarantee is easy to see. Lay out return information or exchange policies to let them know they’re secure. Finally, be sure to include your phone number and email so they can contact you with any questions before and after the purchase. 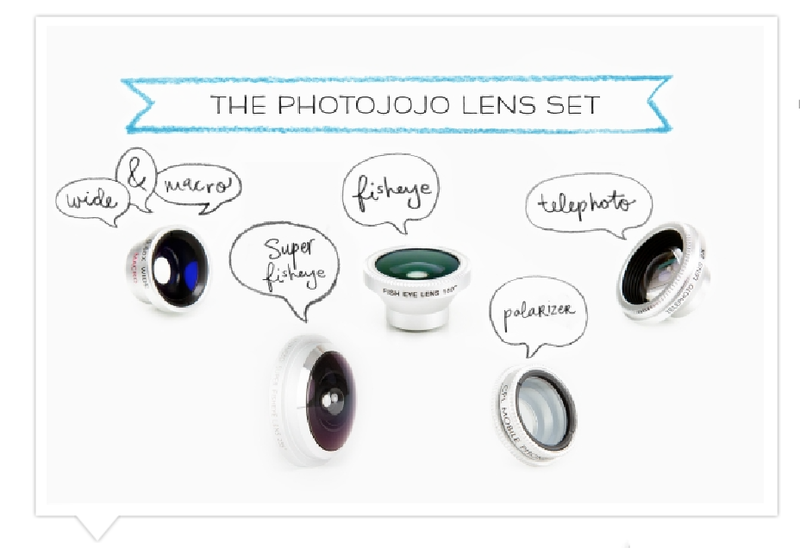 These are only a few of the possibilities for nurturing abandoned carts through email. If you have experienced success with other tactics, we’d love to hear about it. Let us know in the comments. A recent survey of ecommerce marketers showed that an average of less than 25% of ecommerce marketers are investing in abandoned cart nurturing at even the most basic level. Although the levels of marketers engaging in cart abandonment recovery are increasing dramatically, the 75% that aren't investing are incredibly late to the game. 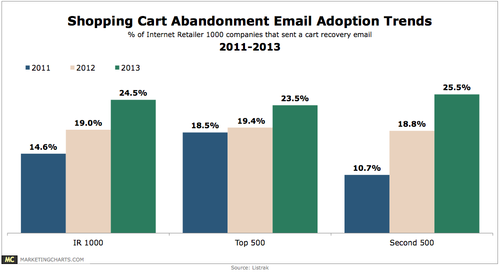 To be perfectly honest, cart abandonment is a tactic we should be refining -- not just now embracing. 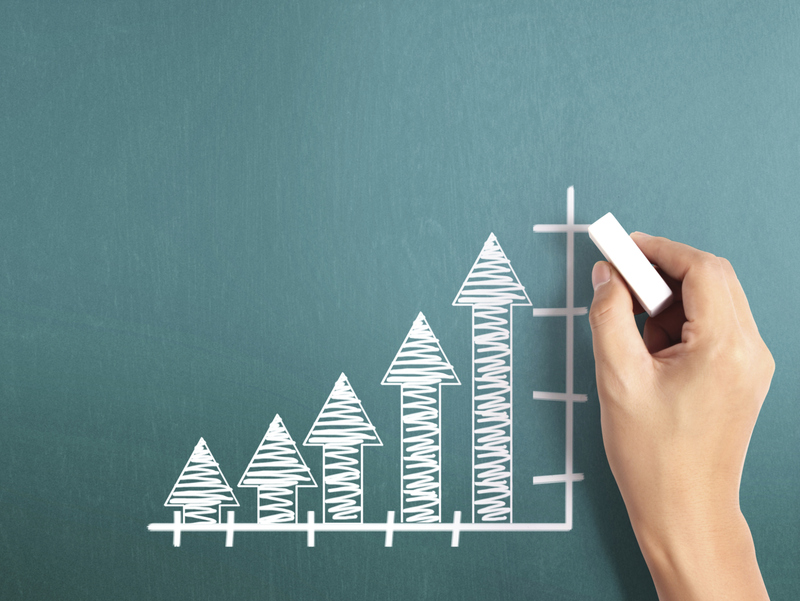 It's a proven marketing activity that drives measurable sales. Consumers have already moved on and are demanding more and more from us at all stages of their buying cycle. Ecommerce marketers who are still dragging their feet with simple cart abandonment campaigns -- much less sophisticated, personalized campaigns -- are going to see themselves falling further and further behind.